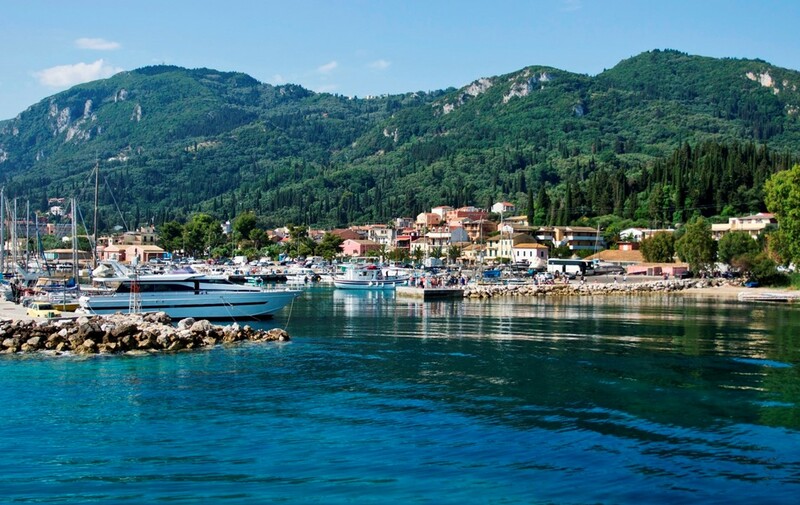 Benitses lies twelve kilometres south of Corfu Town and benefits from a transfer time of only twenty-five minutes. It is a picturesque village of approximately 800 people. Originally a small fishing village, Benitses gained notoriety in the eighties when its resort, a little to the south of the village, was the favoured spot for young singles. All that has changed and many of the nightclubs and discos are now tavernas and cafes and the clientele are families and couples. The village has retained its traditional atmosphere with its working harbour and charming square. Although Benitses has seen dramatic changes in atmosphere since the eighties, it remains a bustling and popular holiday choice. A Benitses holiday offers a picturesque location with clear blue seas in the foreground and verdant hills to the rear. The beach is sand and shingle and there are a variety of water sports. Tavernas and restaurants cater for all tastes and there shops for holiday essentials as well as those selling gift and souvenir. Evenings are fairly lively with a nightclub and several music bars. Who Is Benitses Popular With? A Benitses holiday appeals mainly to families and couples and those looking for relaxing days on the beach. Those with an interest in history will find plenty to see in Corfu Town’s fascinating old quarter, the Shell Museum, as well as in the local vicinity. When To Go To Benitses? 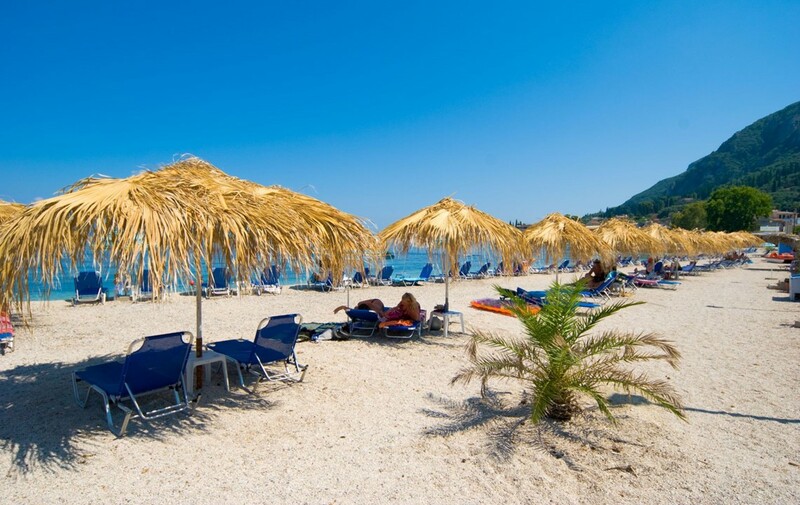 The Benitses holiday season extends from Easter until October, the most popular time being in the summer when the temperatures rise from the low twenties to the mid thirties. Old Benitses is a traditional Greek village set among lemon trees, where fishermen land their daily catch and mend their nets. Some set up stalls in the harbour where self-caterers can buy the freshest of ingredients for their evening meal. Benitses’s whitewashed houses are festooned with trailing plants, and colourful flowering pots abound. The charming village square is a mix of Venetian houses and old tavernas. Behind the village the ruins of a Roman villa and public hot-water baths have been excavated. A Benitses holiday offers relaxation in a charming resort surrounded by citrus groves. 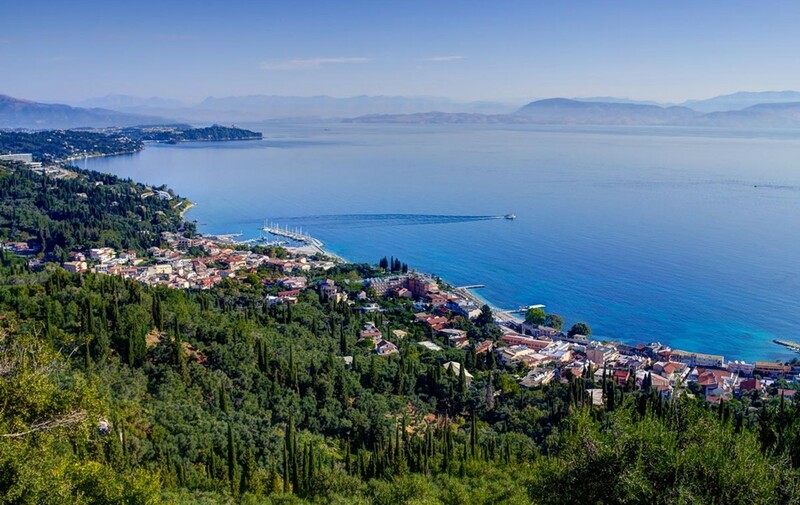 Its proximity to Corfu Town with all its attractions makes Benitses even more appealing. Don’t forget to visit the Achilleion Palace, the palace of Empress Elizabeth of Austria. Impressive events you can attend at, are the Church Processions on Easter Monday and on the Sunday after Easter, the festivity of Santa Marina on July 16th & 17th, as well as the “Sardine Festival” in August, both combined with folklore events and lots of fun. Although Benitses nightlife has changed over the years, there are still some lively bars as well as a nightclub, where you can surely enjoy your drink and meet people. The restaurants and tavernas in Benitses cater for all tastes serving traditional food as well as international cuisine. Fish, caught daily, features prominently on menus. If you wish to sample local cuisine, try a plate of tapas, where you are given small portions of a variety of dishes. Popular dishes are small fried fish, shellfish and kalamari. A delicious dish is ‘pastitsada’, a Corfiot lasagne with layers of meat, tomato, herbs and spices, pasta and béchamel sauce. Tempting snacks in the form of souvlakis, a type of kebab, are sold from fast food stalls. For a more substantial snack these are sometimes wrapped in pita bread and called gyros. Local wines are easy on the palate as well as the purse. Eating in Corfu is meant to be a pleasure and is not to be rushed. Waiters will not hover over you waiting to remove plates. Don’t mistake this for tardy service.